Yes, you’re right, didn’t think about that. Build instructions do not say anything about which shell to use. I also had to fix lensfun as you suggested. 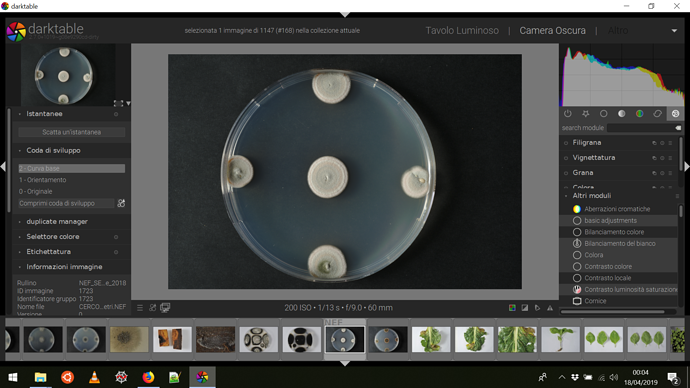 Finally, I managed to build Darktable. I’ll add to the build.txt that one should use the MSYS2 shell to install packages and MINGW64 shell to build darktable, sorry if that is missing. can I ask you to share your darktable for windows built? I can’t guarantee it will work for you. I had instability issues when converting a database from 2.6, while a fresh, clean install was OK-ish. Look & Feel is not 100% good as I didn’t figure out how to install roboto fonts in MSYS2. So, use it at your own risk. I didn’t figure out how to install roboto fonts in MSYS2. Isn’t it sufficient to install the required fonts in Windows and then select it in the application? That’s how it works in Rawtherapee. To install a font, double click on it and select install. Thank you for sharing the build. It works successfully for me. I have no problem with roboto font just installed it to Windows 10. Where did you download the roboto font from ? How did you configure DT to use roboto ? I could find any way to set the GUI font in the preferences. I followed the instructions here https://www.reddit.com/r/Windows10/comments/605etm/how_do_i_install_roboto_properly/ . They seem to make it no obvious to download. Once downloaded extract from the ,zip and install like other fonts. To use the font you need to change the theme to “darktable-elegant” at the top of the GUI Options. Just tested on Windows 10 (home edition). No crash whatsoever so far! @MarcoNex Thank you for the build!! I found that some items were missing in the build process (instructions are not very clear…). Here is a new build, fixed some missing components. it looks much more stable, at least for me. Please backup your old darktable folder in APPDATA before trying a potentially unstable version. Once again thanks for the build. I will need to start looking at the css to change it to my liking. Not sure Roboto font is to my liking, but that is it great thing about the change to a css theme. OpenCL seems to work for me. Does DT crash at startup or later ? Did you use the last build ? This PC is Win10 Pro but it only has Intel integrated graphics so no openCL issue with this one . On my other PC also WIn10 Pro I have an NVidia Card. It seemed to crash on startup with an OPENCL init error. Then i ran it disabled and it went further but had a new error in libdarktable.dll…something about the ui widget…Most errors are referring to libdarktable.dll…THanks for posting a new build…likely my hardware or Win10 Pro maybe?? I have Windows 10 Home, version 10.0.17134, with nVidia 1060. With the new build I only have some obscure GTK warnings about the GUI, but no crashes so far. Does the official DT 2.6.2 windows build work ok for you ?